The École Normale Supérieure de Lyon (also known as ENSL, ENS-Lyon or Normale Sup' Lyon) is an elite grande école located in Lyon, France, in the district of Gerland. Similar in status to the École Normale Supérieure in Paris, it trains researchers and teachers in the scientific fields. The first École normale supérieure (ENS), reserved for boys, was created in France by the National Convention in 1794; it closed in May of the following year. In 1808 Napoleon brought life back into the project and a new school opened in 1810. The school saw many ups and downs before finally settling in rue d'Ulm in 1847 where the ENS Ulm is still located. The other écoles normales supérieures created between 1880 and 1882 under the French statesman Jules Ferry were: the École normale supérieure de Fontenay, and the École normale supérieure de jeunes filles in Sèvres, south west of Paris, (both these schools were reserved for girls) and the École normale supérieure de Saint Cloud for boys. The École normale supérieure de l'enseignement technique was created in 1912. In 1966, the different écoles normales supérieures were unified under a collective statute, and in 1985, a decree reorganized the schools creating four ENS in all, three in or near Paris (the École normale supérieure, the École normale supérieure de Fontenay-Saint Cloud, and the École normale supérieure de Cachan,) and one in Lyon (the École normale supérieure de Lyon). 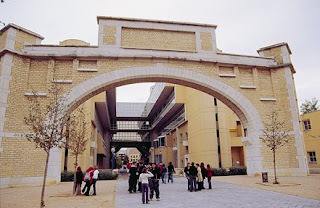 Finally, the École normale supérieure de lettres et sciences humaines (ENS-LSH) opened in Lyon in the year 2000. As a result of the reorganization, the ENS Lyon inherited the scientific activities of the ENS Fontenay and the ENS Saint Cloud, the other activities remaining near Paris until the ENS-LSH opened in 2000. 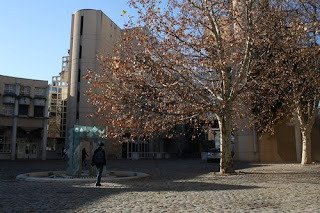 Inaugurated in 1987, the mission of the ENS Lyon, also defined by decree, is to prepare its students, by providing a high level cultural and scientific education, for careers in research in fundamental or applied science, for teaching at the university level or in schools preparing their students for the grandes écoles, as well as for teaching in secondary schools or for working in state and local administration, public services and businesses. The ENS Lyon specializes in scientific domains related to computers, mathematics, nature, life, health, matter, Earth, and the universe.